The Prat Start S2000 Softside Backpack Portfolio is a shoulder strap portfolio that easily converts into a backpack. Made of heavyweight, weather-resistant canvas, the interior compartment offers protection against the elements for your artwork and supplies. The padded backpack shoulder straps tuck neatly inside a zippered pocket when not in use. 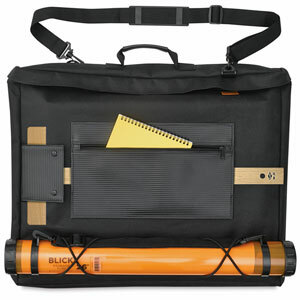 Exterior convenience features include a locking T-square pocket, a tube holder for transporting oversized artworks and drawings, and a large mesh pocket for holding brushes, paints, pens, and books. A double-action, smooth-running zipper opens to reveal a reinforced, light gray interior and a pocket with a clear lining for ease of viewing the contents. The portfolio’s reinforced base offers additional support. 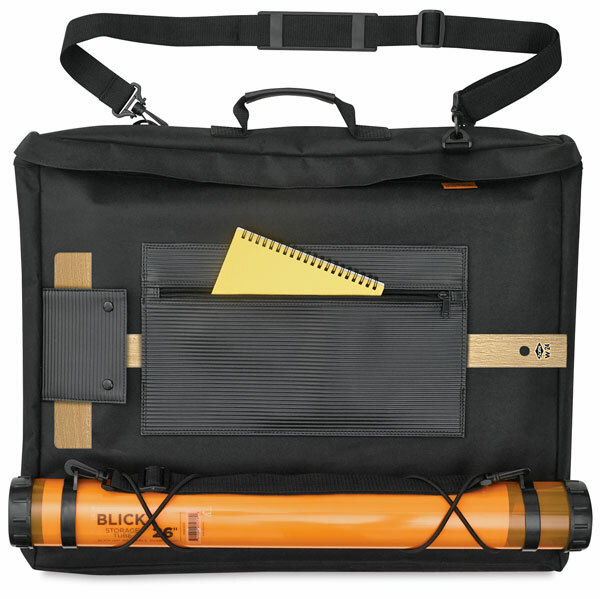 The 24"H × 27"W size accommodates 23½" × 26" sketch pads.